Why choose Supreme Pens? & What makes Supreme Pens different to the rest? Here at Supreme Pens we are proud to say that we dedicate our time to ensure that our customers are able to find the best suited cheap pens for their business, when you need us we will work with you to find the most cost effective solution. We specialise in delivering you the best quality of customised pens. Having the widest range of promotional pens UK, from logo pens and corporate pens to company pens and business pens, we also include a range for Rubber Grip Pens, for this range we will send you a free sample to ensure that the pen you require is soft enough for your finger tips!! We supply PDF visuals of the pen with your branding on to make sure you are happy before proceeding with the pen printing. Also here you will find our environmentally safe pens were you will find our Bio S! 80% biodegradable range. Our website is designed so that you are easily able to navigate around, saving you time. Once you have found a product that interests you, we will direct you to our Product Description page which displays the image of the product, next to the image you will be able to read a short description of the cheap promotional pens. Our branded pens with logo and promo pens are carefully selected and added to our website on a regular bases. At Supreme Pens we design our unique proof which contains your wholesale branded pens. We ONLY proceed with your order once we have received your singed proof. You are probably wondering how do they produce such great custom pens at such a low cost? Well all our cheap pens are produced in house using semi automatic machines ensuring that we deliver the highest quality for all customised pens. Our policy is that we NEVER farm any work out. If you have any questions or need more information please contact one of our dedicated experienced sales staff that will be more than happy to assist you with your enquiry. More information on promotional merchandise. Underneath there is a table which informs you of the specification of the dimensions on which your logo or text will be printed (dimension will vary depending on the specific personalised pen). Information displaying the writing ink for that specific product. In the last column you will find the estimated dispatch time once we have received the confirmation of the emailed or faxed proof containing information displaying your printed promotional pens UK. Then select your proffered color, once you have selected the color scroll down to view our unique price grid which displays the quantities on the left hand side and the number of colors along the top. Once you have selected your ideal logo pens we will add up the low-cost price and display it in our shopping basket where you can choose your ideal delivery date and upload your artwork or even type set your own text. We do farm our full colour work to another supplier. Due to the high demand of full colour printing we will be looking into providing this service in house. The advent of the products which carry a company name has led to a massive range of items which can be made for customers who are looking to add that extra personal touch for their clients. Having such an item made is very straightforward with plenty of companies offering to produce key fobs, USB memory sticks, hats and pens as part of their service. The most common item to have made is the company pens which can be given away to anyone who uses a service or places an order. Statistics show that customers of a company that have the better promotional ideas do tend to return and place further orders, so this is something well worth considering when looking to enhance sales with business pens. The promotional corporate pens will always come in useful anyway but they are also a good reminder when it comes to renewing stock or using a service again. Obviously the higher the quality of product the better the impression for the client, making the most supreme pens another idea which will go down well with the higher end market. Getting a pen which is poor quality is possible worse than no pen at all, so a look at that aspect is important for the buyer. The timescales for getting the products made with pen printing is quite short. Once the decision is made to make this one of the annual promotional ideas, it is then simply a matter of organising the artwork and placing the order for cheap promotional pens. There are festive and celebratory times which can be used as a good reason for giving away pens with logo, so some planning in advance is required. There is no doubt that the printed pens come in very handy and as they are sat in a pen holder on a desk, or in the top pocket, they are always there as a reminder of a company. 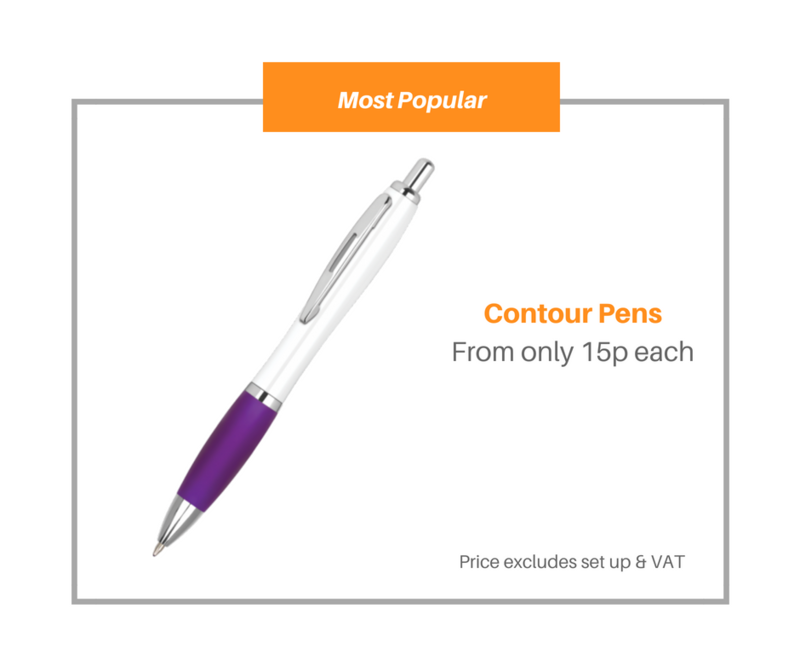 It is a very simple marketing tool which works across all industries, so it doesn't matter if the product manufactured is a simple piece of furniture, or a high tech industrial product used in engineering – the branded pens are equally successful in marketing terms. The company who make the items which are being sold are going to benefit, but it should also be remembered that the customer of that outfit is also going to receive a small gesture of goodwill which is never a bad thing. The day ahs not arrived where a gift is not gratefully accepted and this type of gift is no exception. So custom pens are a good personal gift for a companies clients, and there is no doubting that they are both well received and bring that extra bit of custom to the company who is willing to spend a little on making their name familiar.